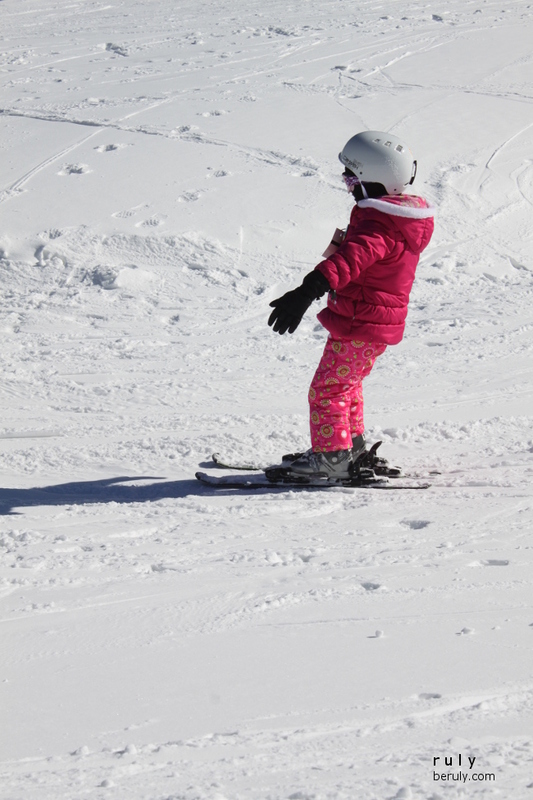 For the past two years, we have enrolled the children in ski lessons during the winter months. 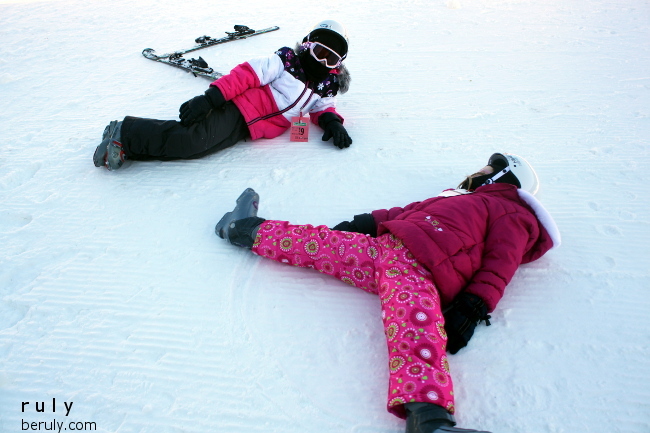 We learned that they LOVE skiing. This year, as we were deciding when to start lessons, it was a particularly cold week due to a “polar vortex” and temperatures were in the low digits. Temperature doesn’t mean much in Virginia. When you add in humidity and wind chill, you have to subtract between 5 and 10 degrees from the temperature. 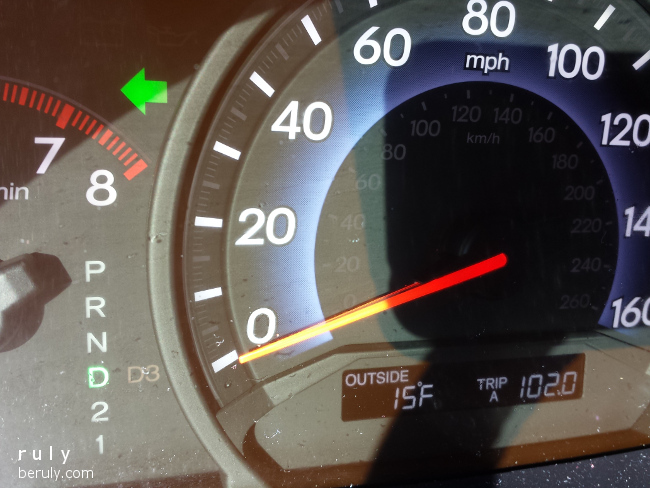 15 is frigid! There was no excuse in the book that would keep them from skiing. They overrode my reluctance. So, once a week, we altered our homeschooling schedule to allow for “ski day.” We got up super early to make it to the resort for the 9 a.m. lesson time. 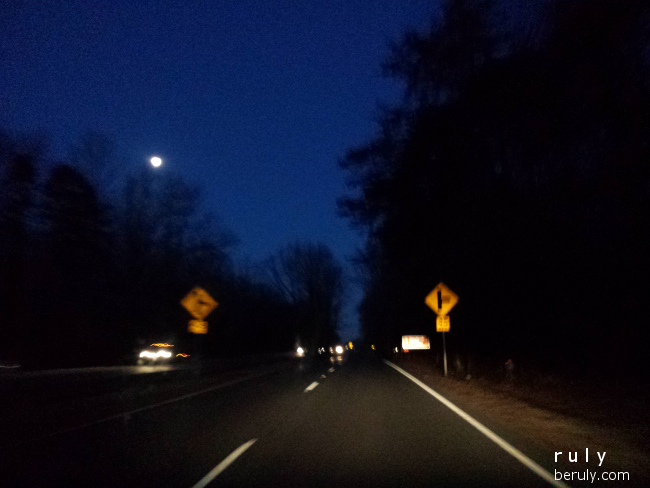 We had to be on the road by sunrise and sometimes a little before. Just in time for class to start! 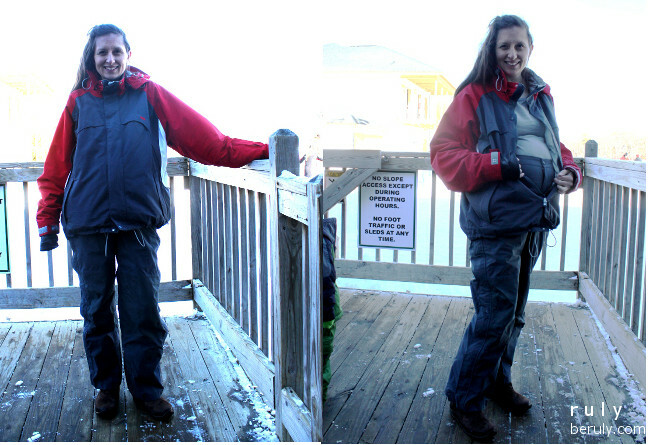 My pregnant body would no longer fit in my winter coat so I told my husband I needed to use his ski coat and pants. He handed them over without complaint. He was surprised the pants weren’t dragging on the ground on me….until I pointed out how high I was pulling them up around my belly. My husband had no idea that his ski clothes double as maternity ski wear. 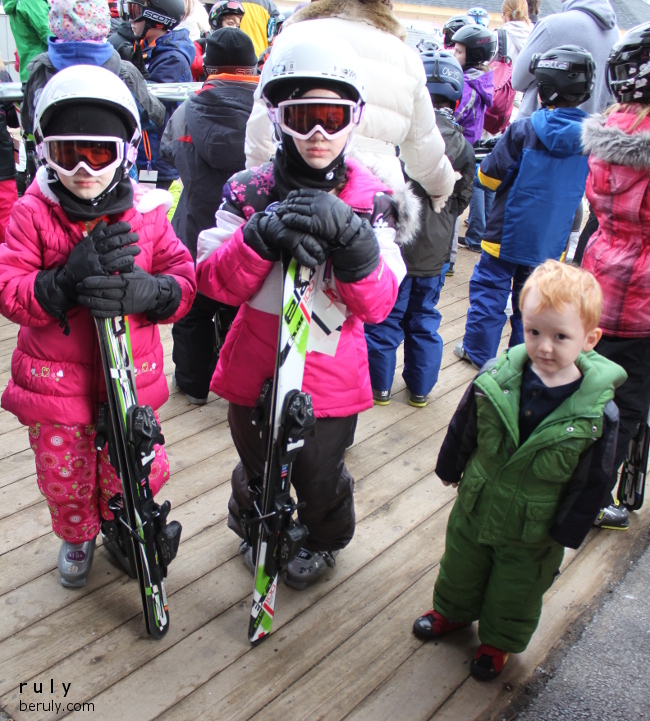 The ski class is grouped by age and ability. It ran from 9:30 – 2:00 p.m. and included lunch. The kids in the class come from all over the world, especially during peak winter holidays. 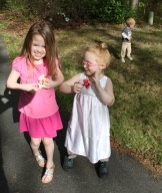 It is a great chance for my kids to interact with all sorts of children. 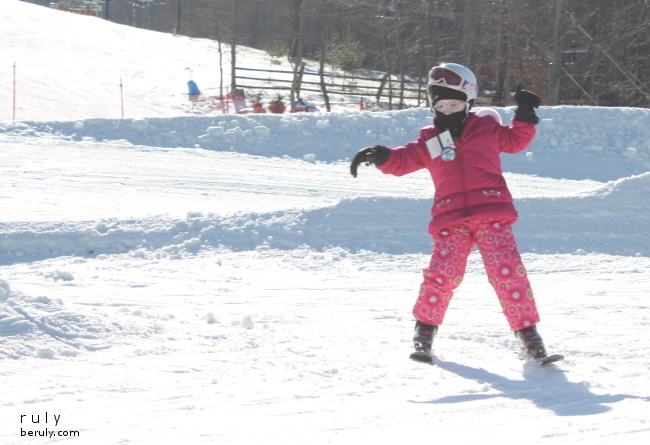 One time, Fairfax County schools were out for teacher work day and it seemed like every kid in the county headed to the ski resort. When I went to pick up my children at the end of the day, my 6-year old was engaged in a cute staring contest with another child. The ski instructors are also some of the nicest people you will ever meet. Being around their positive and encouraging personalities has a wonderful impact on my children as well. 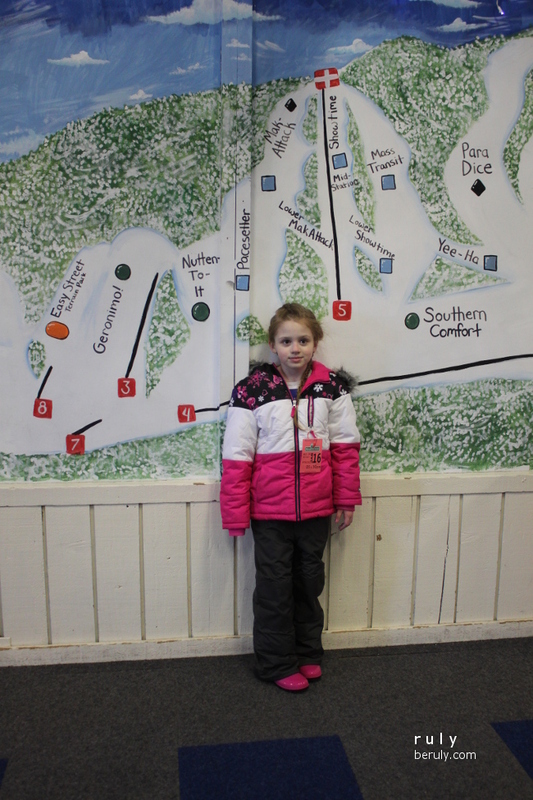 The girls spent the entire ski season in the “green” class. The green class is one below the highest level “purple” class. To graduate from the green class, you need to be doing mostly parallel skiing all of the time with very little snowplow/wedge. It is a hard level to get out of. Even my own skiing skills took a long time to get past this level! Progress on a parallel stance! Wide parallel turns are the transition from wedging. Waiting for the ski lift. This one sometimes skis with a snowball so she can hit you on the run. Starting to put a little edging into her turns. Leaning back is still a problem we are working to correct. Favorite trail this year: Geronimo! Favorite trail: Lower Mak Attack! While the girls skied, my son and I generally headed back to the car to take a nap and sip on hot chocolate until it was time to pick them up. 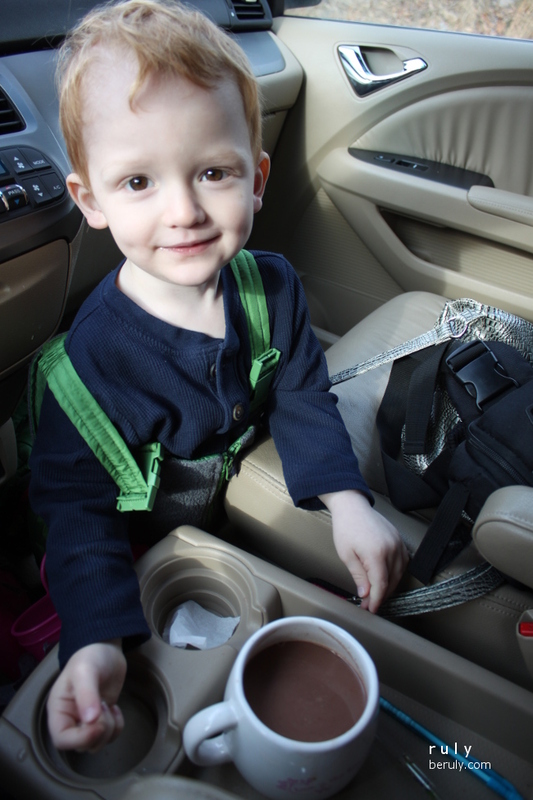 Relaxing in the car with some hot chocolate. Last year, he and I had done some simple skiing together but that was impossible this year as pregnant ladies don’t ski. 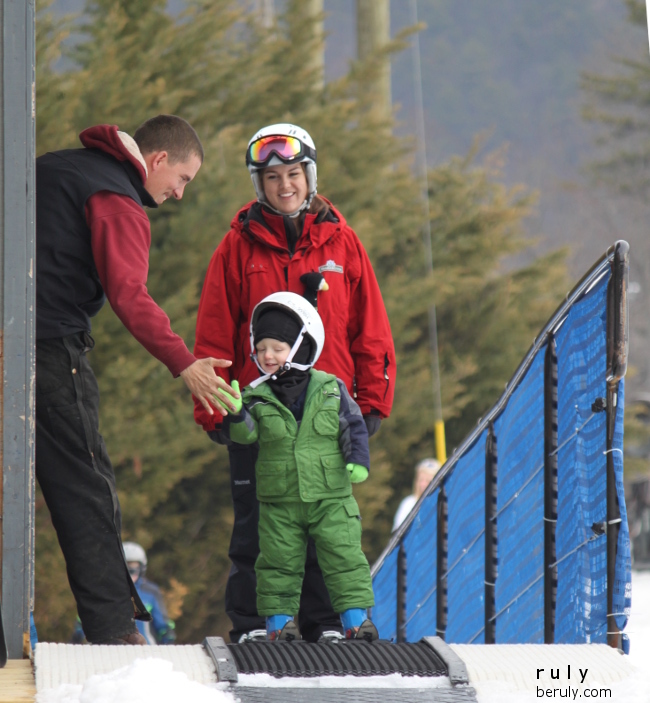 However, one day while registering the girls for class, the ski instructors asked how old my son was. 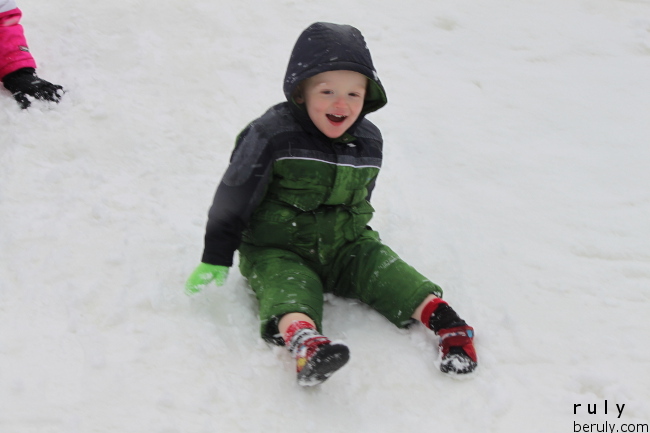 They then informed me that next year he too would be eligible to enroll in the ski class! With that in mind, we wanted to make sure he had at least some exposure to skiing this year so next year wouldn’t be a rude surprise. Suited up and ready to ski! I signed him up for a private lesson. 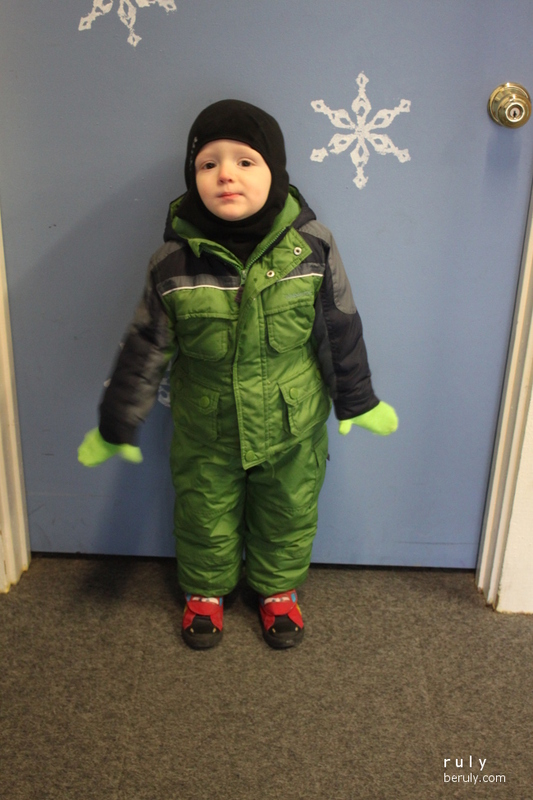 He seemed kind of excited at first but as soon as we had to put on all the ski gear, including boots and helmet, the tears and tantrums came out. All of that gear was just sensory overload. 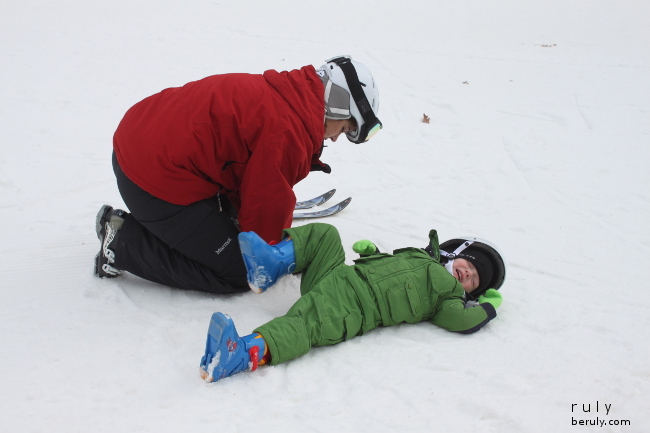 When he finally settled down from the gear, more tears and tantrums came when I left him with the instructor. Not going so well at first. 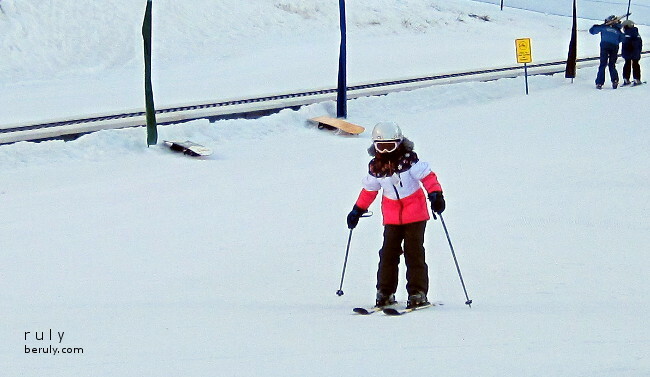 Since I had already paid for my non-refundable hour of lesson, I asked if I could work with him a little and see if we could at least get his skis on and then the instructor could finish up with whatever time was left in the lesson. “Go ahead and try,” they said dubiously. Even through his crying, he had heard and understood every word they said to him. “Sure!” I said and we proceeded to build a small snowman. “Do you want to put your skis on?” I asked him. “Well, let me help you!” I said. 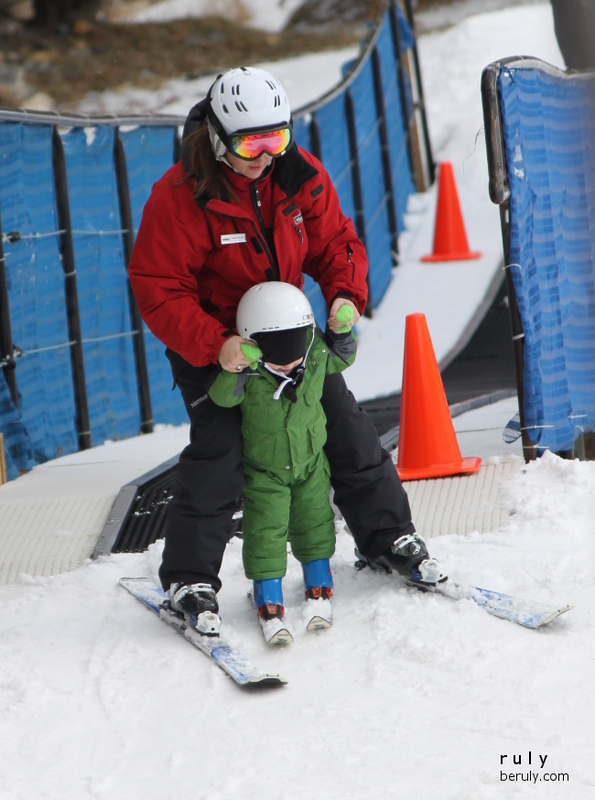 We got the skis on and I started pulling him around the ski area. The ski instructor saw him and came over. “Do you want me to put my skis on too?” she asked him. She put her skis on and within less than a minute, my son went from holding my hands to holding hers and they went off to ride up the gentle hill on the ski escalators. Finally! A smooth transition with no tears. 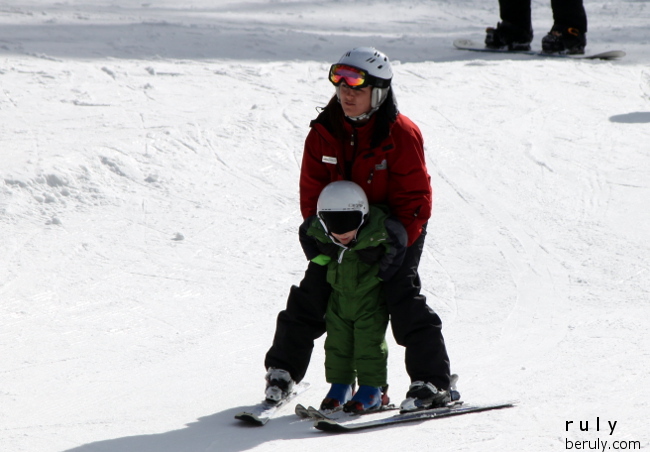 “What did you do to make him cooperate?” the senior ski instructor asked me after they skied off. I told her that he just needed a little reassurance. While common practice for preschoolers is to have mom drop off the kid and then disappear while the kid “cries it out” for a bit and then calms down, my son doesn’t like this pattern. He likes to have me there to help him gradually transition to new situations. Next thing I know, he is high-fiving the lift operator! 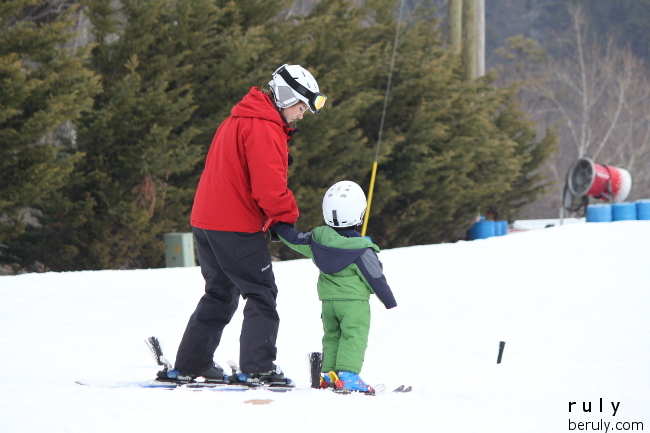 After the lesson ended, he still wanted to ski! He was “shuffling” off on his own power. And the next week, he transitioned much easier and had his full one hour lesson! Smiles from the start this time! He looked forward to his “skedding” lessons. 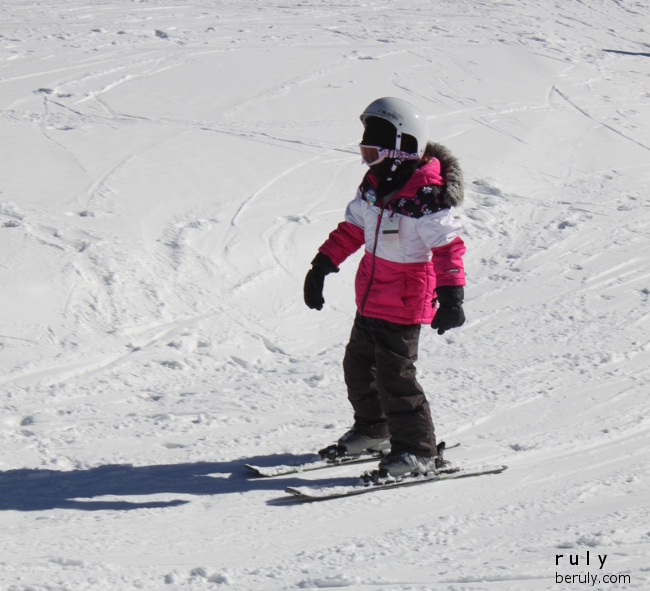 The other big change in our ski lessons this year was that the girls had the chance to ski in Utah at one of the major resorts. I always wondered how our Virginia ski lessons (which I find to be excellent) would compare to those of the major ski resorts. 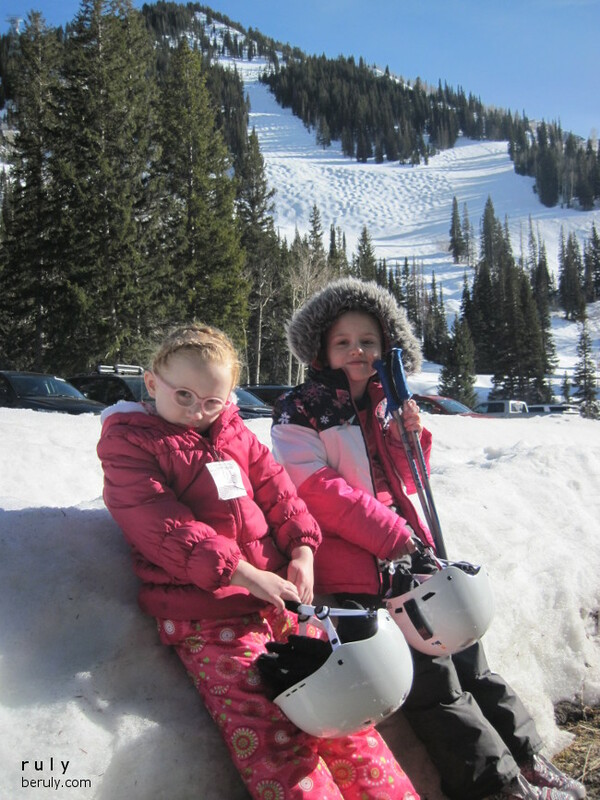 To our delight, the girls did very well in their Utah skiing. 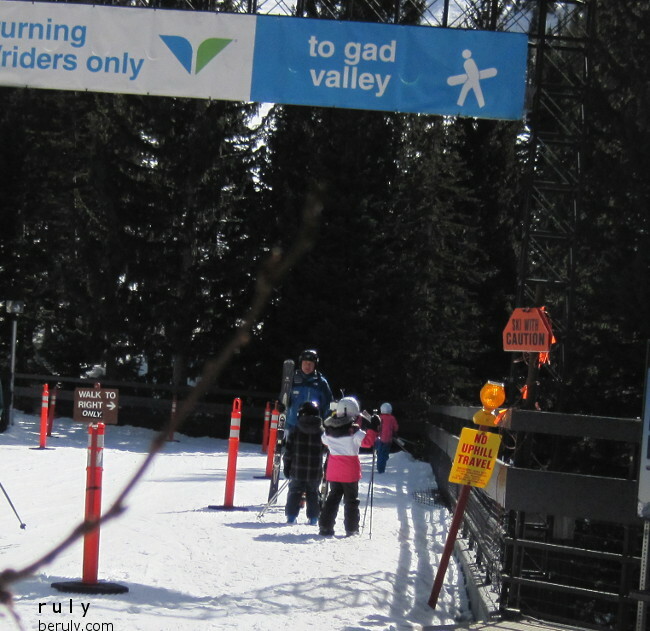 The slopes were steeper and the altitude thinner but they didn’t think it was any harder than their Virginia skiing. 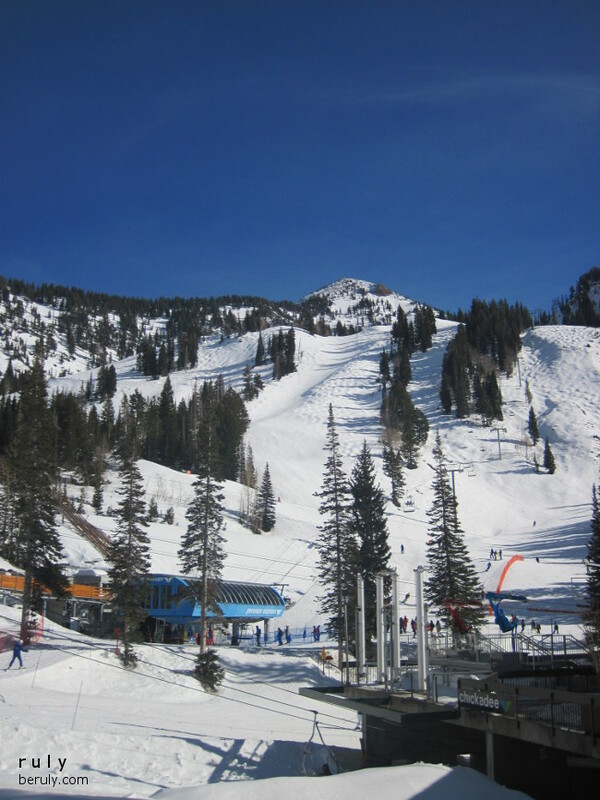 They received excellent reports from their Utah ski instructors too. 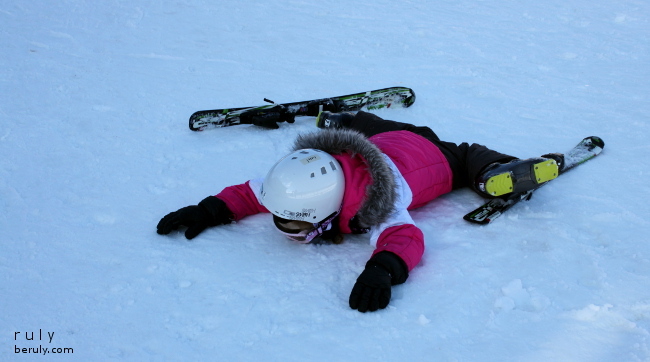 My daughter got her first lesson in using ski poles from her Utah instructors. 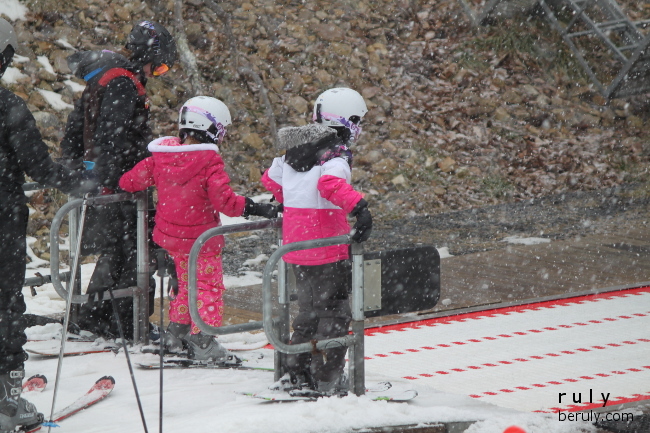 After ski class was over, the kids always loved to have a little time to play in the snow. 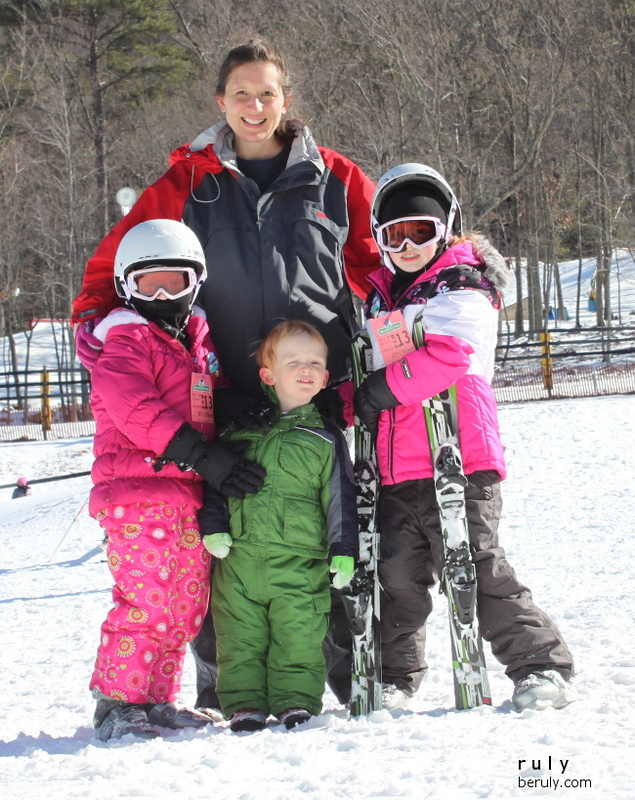 They were plenty tired but loved to slide down the small ski slopes, especially my son! My daughter collapsing after lessons. While this looks painful, she is just naturally this flexible. There is a LOT of gear involved in skiing. After 3 years of practice, we finally have this down to a system. 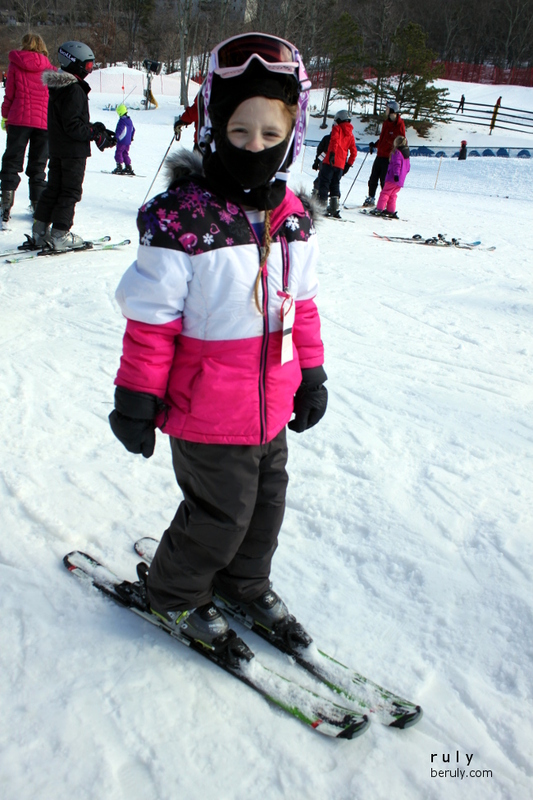 Each child needs: ski coat, ski pants, helmet, balaclava (full face hat), goggles, ski gloves and ski socks. 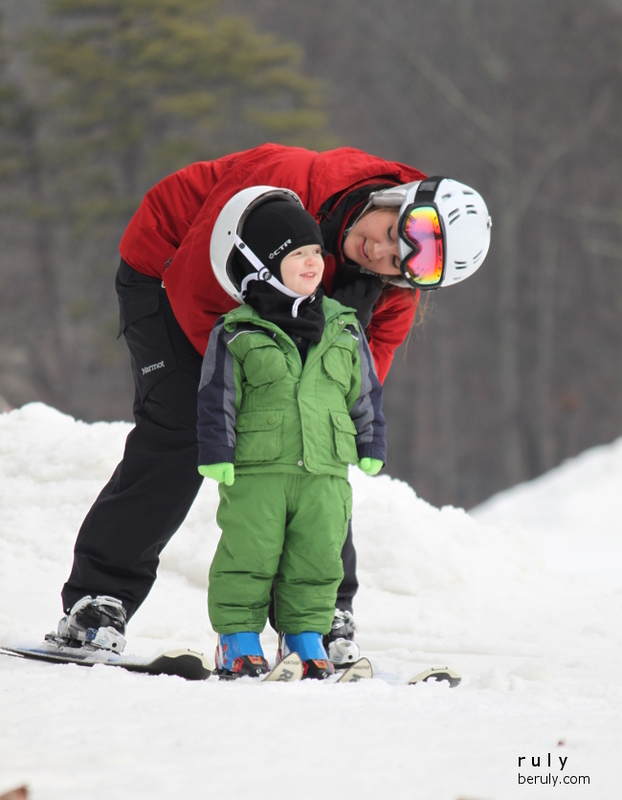 We store the goggles, balaclava and ski gloves in each child’s helmet and make each child carry his/her helmet to and from class. The night before we lay out all the gear and pack a lunch. The morning of our expedition, we boil water and put it in a big thermos, usually mixed with hot chocolate. 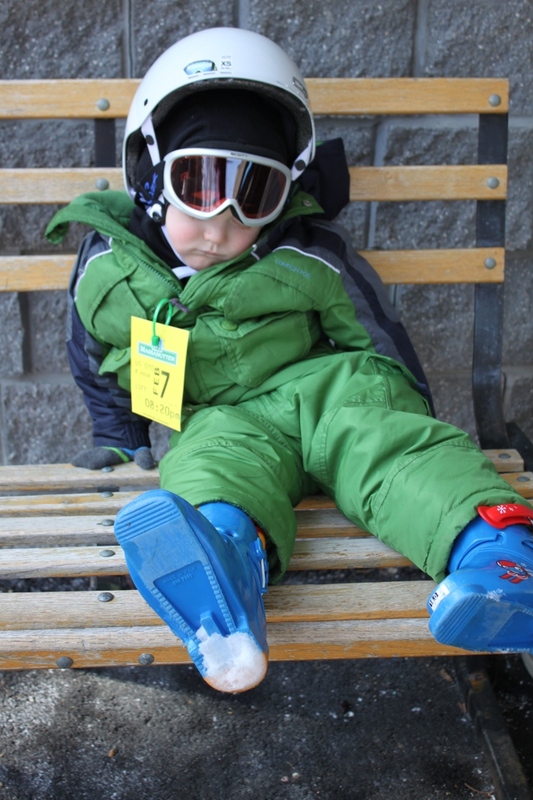 Each child wears rubber rain boots to and from class, changing into ski boots at the lesson site. This makes walking through the parking lot much safer and faster and minimizes the weight of the boots that mom has to carry. 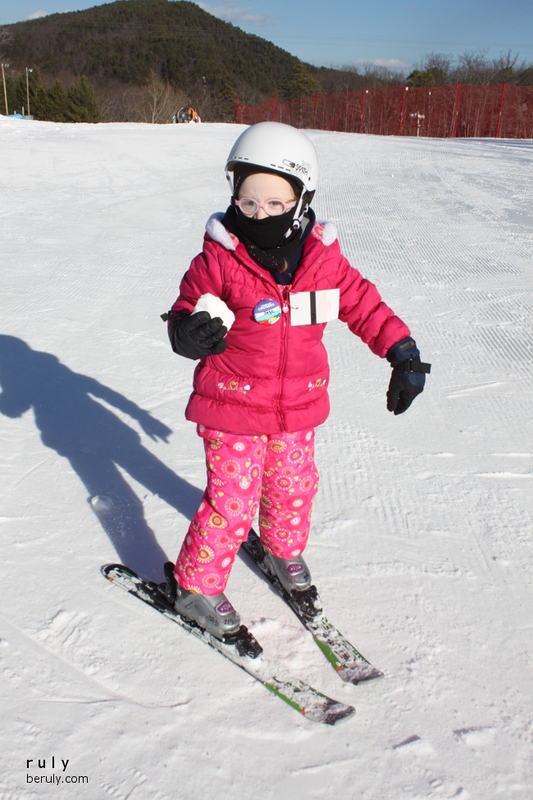 After lessons are done, we make sure we have goggles, balaclava, 2 ski gloves and the helmet packed back up. 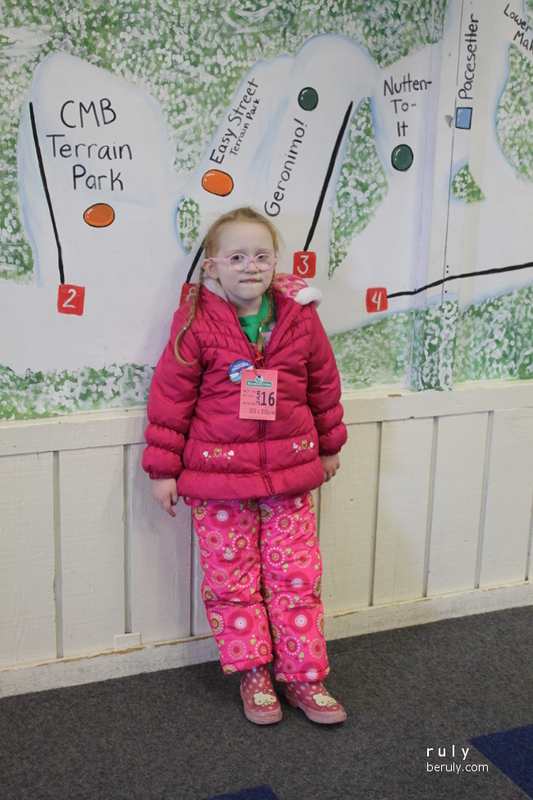 Next year, we might add to our gear challenges by purchasing skis and boots for each child. 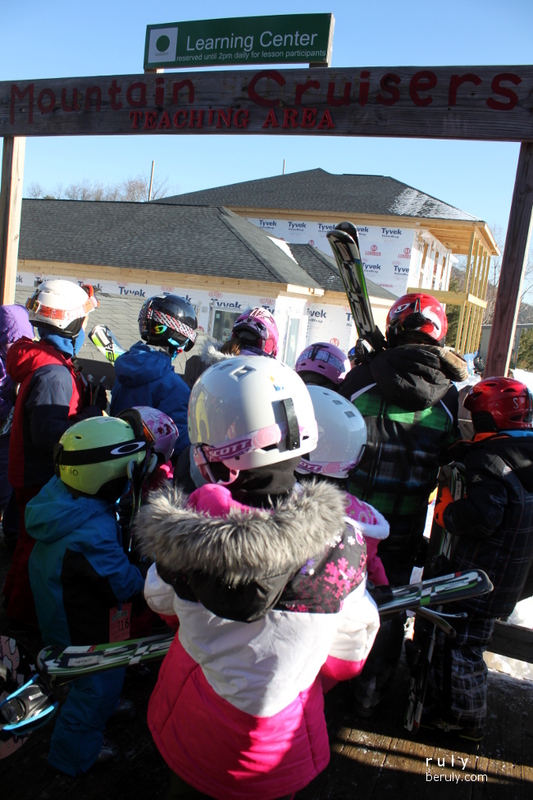 We have done well with renting so far but it would make the check-in process for lessons much smoother to avoid the equipment rental process, particularly if we will be adding a third skier. We bought the used skis and boots my son was using for $50. They paid for themselves in saved rental fees. Our 2015 ski team photo. Anyone else skiing this year? Any tips to share on managing gear for gear-intensive sports? Please share in the comments.